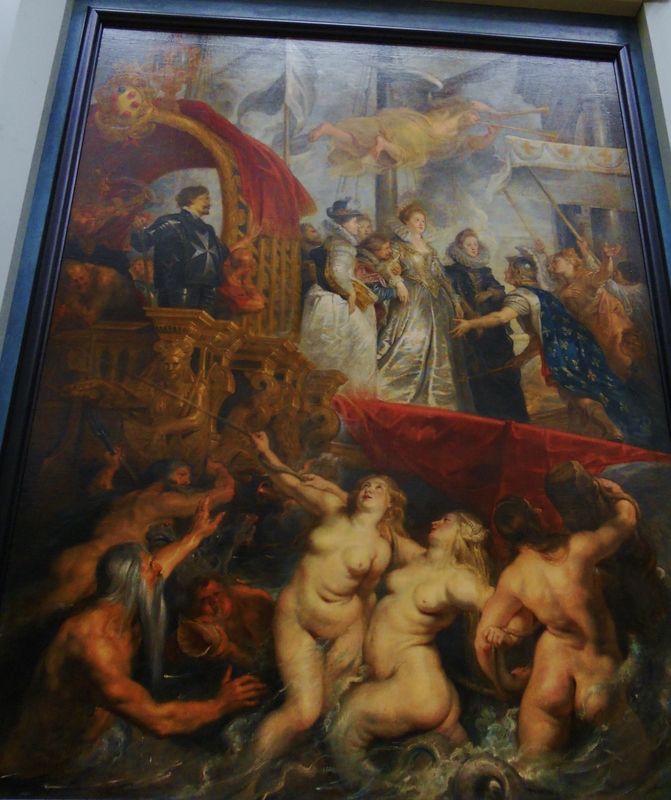 In 1622, Marie of Medici was crown Queen of France and commissioned 24 painting from the painter Rubens to decorate her new palace. 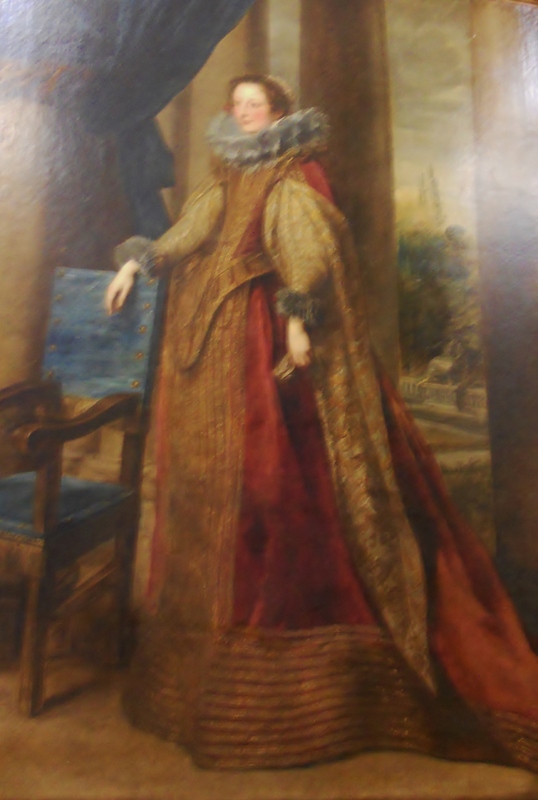 Its a series of big oil paintings, representing different important scenes from the queen’s life. Each is elaborate and very detailed, with allegorical and mythological additions. 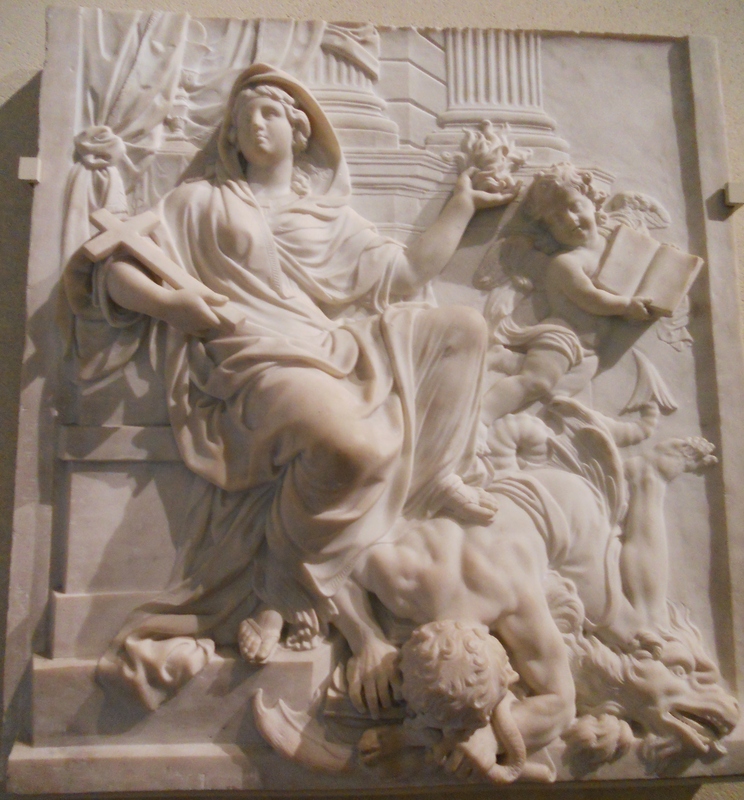 The aim is to glorify the Queen and her rule, but each piece reflects the golden age of classicism. Here is a good example of what I meant. 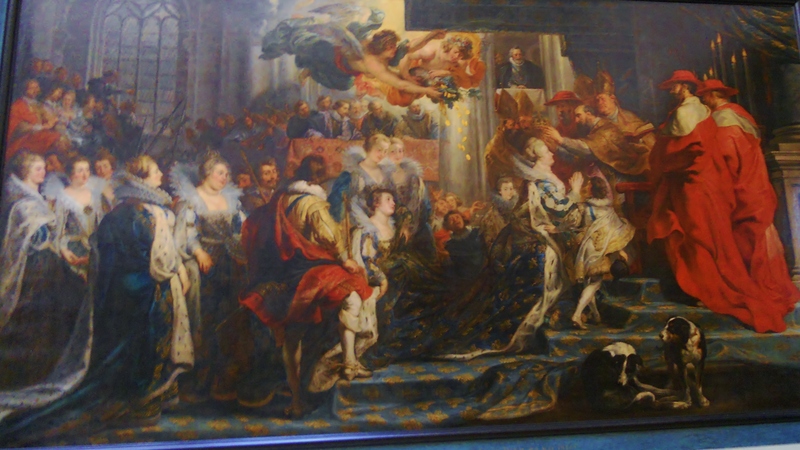 We can clearly see the queen at the center of the piece as the main focal point, in light clothing to contrast with the other characters. 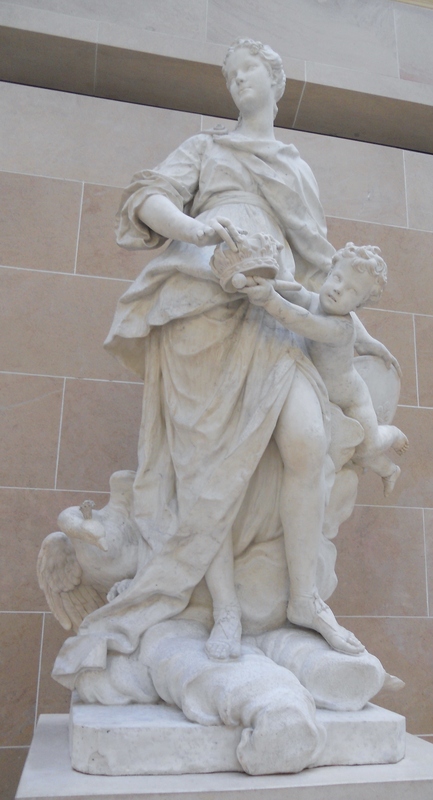 But surrounding the queen are figures from Greek and Roman mythology, such as Naiads and sea nymphs, but also cherubs and angels. The renaissance period was a revival of all the old myths. The ancients also provided artistic instruction as artists copied and studied their works, compositions and anatomical studies. I also found it interesting that the pagan characters are always naked or very little dressed, whereas the proper ladies of society are shown in full regalia. It certainly makes for an interesting contrast. 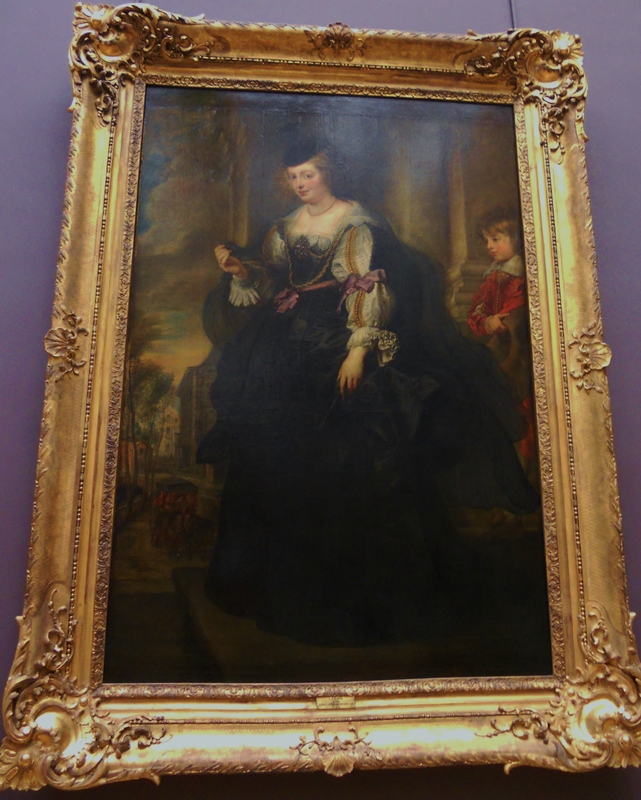 Again, portraits of ladies and noble women are all dressed in fine garbs with jewels and accessories This shows Rubens wife and son painted around 1640, showing the elegance and refinement of their status. 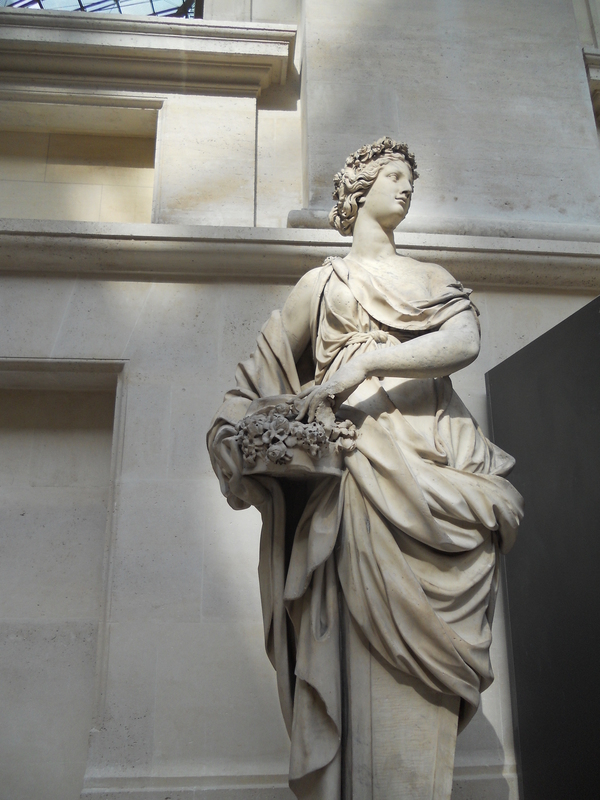 Allegory of Spring, Pierre LeGros 1629. 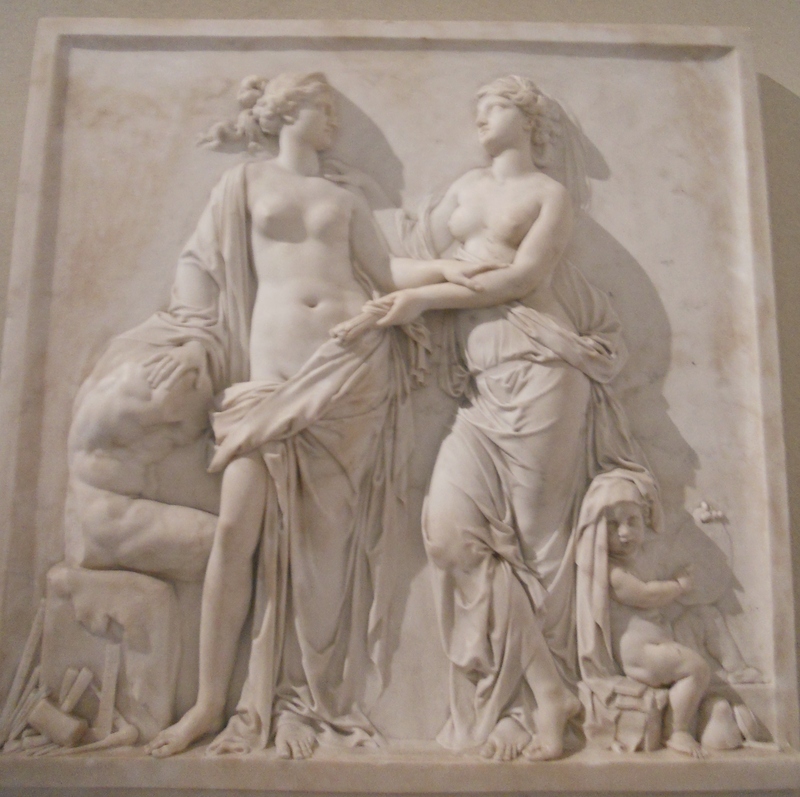 I love these allegories, showing how the artist would envision how the person incarnating Spring would look. It’s part of a series of four (obviously) each woman holding attributes of each season. This photo might seem a little strange. But I visited the “Conciergerie”, the prison where Marie-Antoinette spent the last few months of her life before being executed by the new regime. 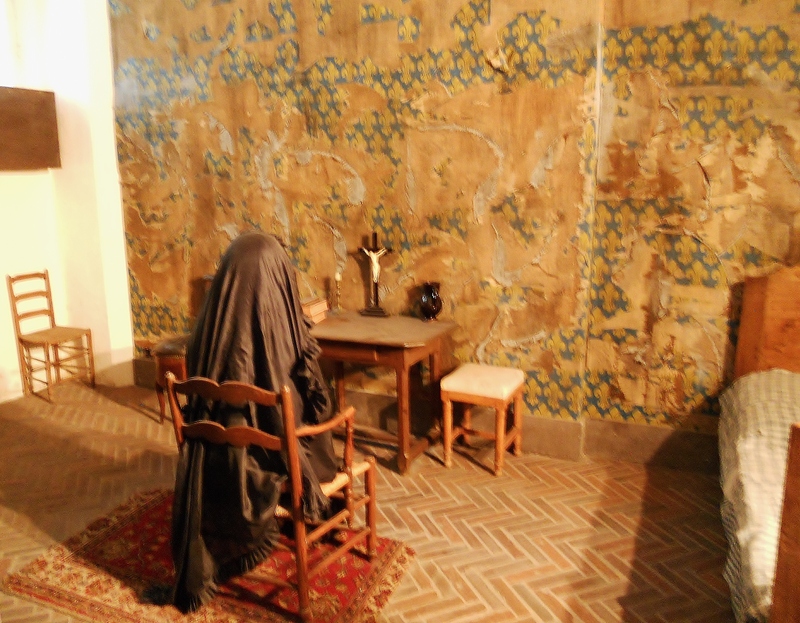 This photo is a restoration of her cell (with added mannequins). And I felt like this was an interesting perspective on the theme of this project. Here is the place where one of the most famous, frivolous women in world history spent her last few days, in austere conditions, having lost everything. This entry was posted in Daily Loaf, Sprinkles and Frosting and tagged allegory, classicism, commissioned paintings, conciergerie, female, female figure, goddess, golden age, hardy, legros, louvre, marie antoinette, metaphore, museum, mythology, painting, personification, photography, queen, rembrandt, renaissance, rubens, sculpture, travel, van dyck, visit, women by acc1313. Bookmark the permalink.